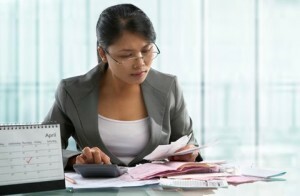 Accounting jobs without a CPA Certificate may be limited, but there are still plenty available. Because the CPA certification is so difficult to obtain, many new accountants choose to first work and build up experience in the private sector. As introduced below, the private sector offers similar jobs, but just at lower salaries. Entry level accounting positions will require a demonstrable understanding of basic accounting principles. Entry-level accountants should be familiar with standard accounting software and accounting information systems. Accountants are expected to type quickly with the 10-key and keyboard. Accountants must be highly accurate, organized and analytical. Additionally, they must have a strong attention to detail and inconsistencies. They must have the ability to effectively manage multiple tasks under pressure to meet deadlines. Entry-level accountants should have strong interpersonal skills that will enable them to effectively work well in a team environment. Finally, all accountants must have the highest levels of ethics and integrity. This is because they directly impact their organization’s financial documentation and compliance with applicable state and federal laws. They must be able to maintain confidentiality and guard against misappropriation and mismanagement of funds. An accounting assistant, or accounting clerk, is the most common entry-level position for recent graduates. An accounting assistant who works in the private service sector would be responsible to process AP checks, maintain vendor files and reconcile large volumes of daily credit card transactions. They must also book revenues and expenses, as well as file and maintain bank and financial statements. They will have traditional accounting duties that include AR, AP, payroll, budgeting, bookkeeping and financial reconciliations. A senior accounting assistant will assist the manager with supervising other assistants. They will participate in monthly and annual financial audit processes. They will prepare email replies to internal and external inquiries for the manager. They must process and post accounts payable in the accounting information system, as well as ensure that payment requests have proper coding, authorization and documentation. They will prepare checks, obtain signatures and disburse checks as required. Finally, they will track assets, paid invoices and depreciation schedules. One of the most common accounting jobs without a CPA Certificate is a staff accountant. They work with the accounting manager and director to ensure the accuracy and timeliness of financial processes and reports. They are expected to proactively provide their financial expertise as needed. They assist with the management of day-to-day accounting functions through overseeing accounts payable, cash management and monthly and quarterly close processes. Staff accountants must ensure that internal accounting controls are effectively and efficiently performed. They assist with the training of team members to improve the general accuracy of reporting and financial statements. Thus, they must make sure that financial information is accurately analyzed and reported to the appropriate members of management. Staff accountants will perform the month-end close process, which includes the preparation of reports, reconciliations and journal entries. They typically prepare weekly sales reports, cash projections and other financial reports as needed. Related to this, they prepare monthly balance sheet reconciliations and manage the sales and closing process. Some staff accountants will lead internal audits and coordinate external audits. Depending on the industry, they may assist with updating and maintaining Sarbanes-Oxley documentation for auditing purposes. Undoubtedly, there are many more accounting jobs without a CPA Certificate available for students with proven skills, core competencies and in-depth accounting knowledge.